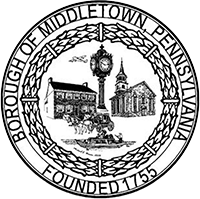 This notice applies to all information collected or submitted on the Borough of Middletown website. The types of personal information that may be collected are: name, address, e-mail address, and phone number. This information is only collected if a visitor sends us this information from one of the forms on our website.